A toroidal inductor is a passive electronic device that is used in many applications. The term toroidal inductor has two parts: toroidal and inductor. Understanding what both of these words mean and how they work together will give us a better understanding of what exactly a toroidal inductor is, how it works and why we would use one. Firstly, the term toroidal: a toroidal shape is a shape that is very much like a “doughnut” type of shape. A circular shape with a hole in the middle. There are many types of toroidal shapes but they all follow the basic “doughnut” idea. How about an inductor? It is an electronic component that resists rapid changes in current going through it. Such a component is made by wire being wound into a coil to create a magnetic field when current flows through the wire. It is also common to wrap said coil around a ferrite core of some form. With this it is easy now, to see, that a toroidal inductor is a coil of wire wrapped around a core to create an inductor, but in this case the ferrite core itself is of this toroidal shape. But what advantage does having a toroidal core bring to the inductor as opposed to a straight core, such as with a solenoid? Simply put, because the core is closed loop, ie the “doughnut” shape, it can have a higher magnetic field than a straight core with similar properties. This is because with the closed path of the toroid, the magnetic field lines present around it when current flows through the wire will, all be contained within the core. However, with a straight core, the magnetic field lines have to emerge from an end of the core and have a bit air gap to travel to the other end to enter. This produces a higher magnetic field in the toroid. Another advantage of toroidal coils is that due to their symmetry, there is not nearly as much flux leakage from the coil, which in turn, reduces the electromagnetic interference. This is a great advantage in modern electronics due to the generally low power circuits being built that are all prone to electromagnetic interference. 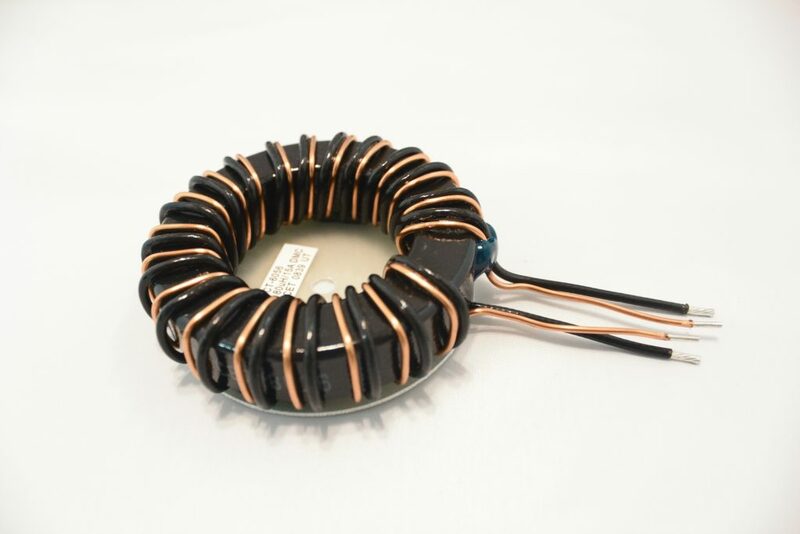 Toroidal inductors are very commonly used in AC circuits, especially those that have to deal with high frequencies as well as in many AC transformers. 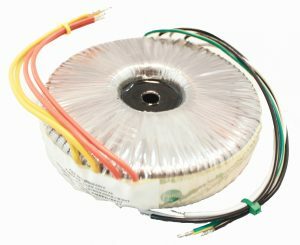 Toroidal inductors are extremely useful in the electronics world and is certainly something that all involved with electronics should know about. The disadvantages of toroidal inductors include size, and cost. They tend to take up more board area for a given requirement; and they are more difficult to wind which adds cost. Call or complete an RFQ to start the design of your toroidal inductor. CET Technology… Building Relationships One Component at a Time.